To reach competent Human-Robot Interaction, robots should be able to behave stably on uneven terrain in domestic environments. 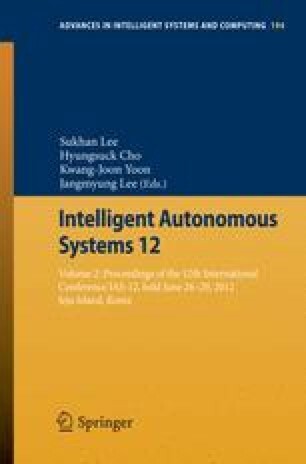 This paper addresses a technique, which integrates four balance control strategies and is used on Nao robot to realize walking on uneven terrain that is not modelled in advance. The most important two strategies are “Closed Loop Gait Pattern Generator” and “Posture Control”. The former one uses the filtered robot state based on Kalman filter. It helps to improve joint tracking, which is important for model based approaches. The latter one helps to make the trunk vertical to the ground. This strategy is very effective when walking on a slope. The other two strategies are “CoG (Center of Gravity) Height Control” and “Ankle Joint Control”, which are used to resist relatively large tilt and prevent potential falling over motion. abstract environment.